Important Note: Taj Mahal is closed on all Fridays. Our Tourist Permit Car / Coach with English / Multi Lingual License Guide will report at your Hotel or Residence at 0730 hrs. Start your tour of Agra visiting the Tomb of Mughal Emperor Akbar at Sikandra, visit the 7th wonder of the World – The Great Taj Mahal built by Mughal Icon Shah Jahan in the memory of his beloved wife Queen Mumtaz. After admiring the Taj Mahal you will proceed to Agra Fort & visit its Chambers of Kings, Common Man, the prisons & also enjoy a panoramic view of the Taj Mahal from here. Later drive to Ittamuddaulahs Tomb which is also referred as mini Taj for its superb marble inlay works gifted by Mughal King Jehangir to his wife in honour of her Parents. Afternoon excursion tour to the city of Fatehpur Sikri built by the Mughal Emperor Akbar but later shifted to Delhi due to scarcity of water in Fatehpur Sikri the most importance places to see in Fatehpur Sikri is Bulund Darwaza, Panch Mahal, & Shrine of Shaikh Salim Chisti. Later drive back to Agra, tour concludes on arrival at your hotel/ residence. Located about 204 km south of Delhi in the Indian state of Uttar Pradesh, Agra is one of the most famous tourist spots of the country. The city, situated on the west bank of river the Yamuna, is known world over as home to a wonder of the world, Taj Mahal. A part of the great northern Indian plains, Agra has a tropical climate. Summers are extremely hot and the maximum temperature can be as high as 45 degree Celsius, while winters are cold and foggy. The monsoon season is marked by heavy rains and high humidity. A part of the great northern Indian plains, Agra has a tropical climate. Summers are extremely hot and the maximum temperature can be as high as 45 degree Celsius, while winters are cold and foggy. The monsoon season is marked by heavy rains and high humidity. 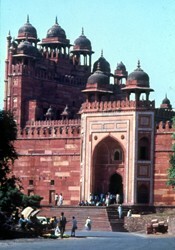 For most of the time Agra alternated with Delhi as the capital of the Mughal Empire. As such one finds many marvels of the Mughal architecture in and around the city, the most famous of them being the Taj Mahal. Besides the Taj, the Agra Fort (also called the Red Fort) makes an interesting sight. Other major attractions include the tomb of Mirza Ghiyas Beg, Jama Masjid, Akbar’s tomb at Sikandra, Rambagh, the Mughal Garden and Dayal Bagh Temple. Besides the historical monuments, one can also explore Agra’s rich heritage of handicrafts in its markets. 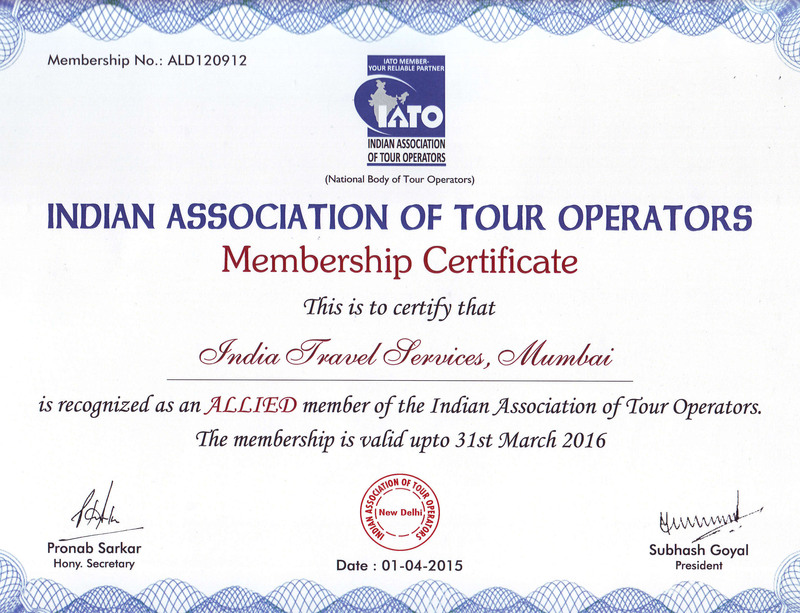 Places Of Interest: Taj Mahal, Agra Fort, Itmad-ud-Daula's Tomb, Moti Masjid. Situated at a distance of 91 km from Agra, Aligarh is famous for being the home to the Aligarh Muslim University. The university was founded by Sir Syad Ahmad Khan in the 19th century. The city is also known for its locks. Thirty-one kilometres from Mathura lies Bhandirvan where, it is believed, Radha and Krishna were married under a banyan tree (Bhandirvat) while Brahma presided as an officiating priest. The ceremony was supposed to have been attended by other gods also. 39 kms from Agra stands Fatehpur Sikri, the red sandstone city of yesteryears. The city was built by the Mughal Emperor Akbar in AD 1564 in honour of the Muslim saint Sheikh Salim Chisti. Fatehpur Sikri was intended to be the capital city but the shortage of water and unrest in the north-west made Akbar abandon it. One of the major attractions of this city is the marble tomb of Sheikh Salim Chisthi. Other places of interest include Diwan-e-Aam, Diwan-i-Khas, Buland Darwaza, Panch Mahal, Jodha Bai’s Palace and Birbal Bhavan. For those interested in glass products, a visit to Ferozabad becomes necessary. Situated about 44 km away from Agra, this industrial city is famous for its glassware. You can buy products such as glass bangles and chandeliers in abundance here. It is in Gokul that Lord Krishna was supposed to be secretly raised. The town is about 16 km south of Mathura. One of the most notable structures here is the Chaurasi Khamba (84 pillars), also known as Nand Maharaja’s house. Most of the the temples and structures here are built around the legends. The mud temples on the side of the hill mark the places where Krishna is supposed to have killed the demons Putana, Trinavarta, and Shakatasura. A little distance away is Utkhal where Yashoda is believed to have tied Krishna to a grinding mortar as a punishment for breaking her pitcher and stealing butter. At Brahmand Ghat, she is supposed to have witnessed the entire universe in Krishna’s mouth while chastising him for having eaten mud. Legend has it that Krishna lifted this hill in order to protect the villagers from the torrential downpour caused by the wrath of God Indra. It is believed that for seven days, he held the hill on his little finger while his disc generated enough heat to evaporate the excess rainwater. Govardhan is situated 25 km west of Mathura on the road to Deeg. Also known as Sur Sarovar, the Keetham Lake is situated at about 23 kilometres from Agra within the Surdas Reserved Forest. One can witness a wide variety of fish and water birds in the lake. The tranquil surroundings present an ideal relaxing place. Located about 47 km from Agra, Mathura is famous as the birthplace of Lord Krishna. Besides being an important pilgrim place of the Hindus, it is one of the seven most sacred cities in India. Mathura is also an important crafts centre. Visiting Mathura gives one a chance to trace the early years of the life of Lord Krishna. Among the foundations of the Kesava Deo Temple, one comes across a small room designed as a prison cell. In the cell is a stone slab on which, it is believed, Lord Krishna was born some 3,500 years ago. Adjacent to the temple stands the mosque built by Aurangzeb. The place, referred to as Sri Krishna Janambhoomi, has been a subject of dispute between the Hindus and Muslims. 10 kms from Mathura lies the town of Vrindavan. The place is associated with the childhood exploits of Lord Krishna. Vrindavan has scores of temples, shrines, and memorial stones and hermitages of the saints and Krishna’s followers. One of the most impressive buildings that greets the visitor in Vrindavan is the Govind Dev Temple. This red sandstone structure is supposed to be architecturally one of the most advanced Hindu temples in northern India. One can also have a look at the 150-year-old Ranganathan Temple, popularly known as the Rangaji Temple, which is located in a beautiful complex. Around 4000 other temples are said to exist in Virndavan. The town is also the seat of ISKCON (International Society for Krishna Consciousness) which has built a magnificent temple here.